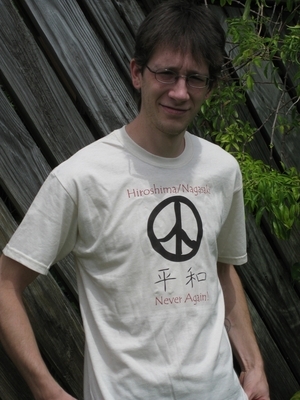 This shirt is made to commemorate the 65th anniversary of the Hiroshima and Nagasaki Nuclear bombings that occurred on August 6th and 9th of 1945. 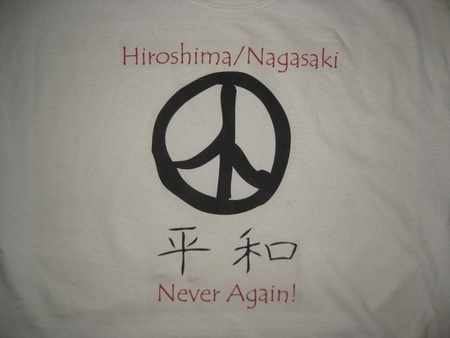 From August 6-9, 2010 events will be held worldwide to commemorate the nuclear attacks of Hiroshima and Nagasaki. These shirts were made at the request of some of the organizers of local events here in Miami and are a great way to show your solidarity with the victims of these horrendous attacks.